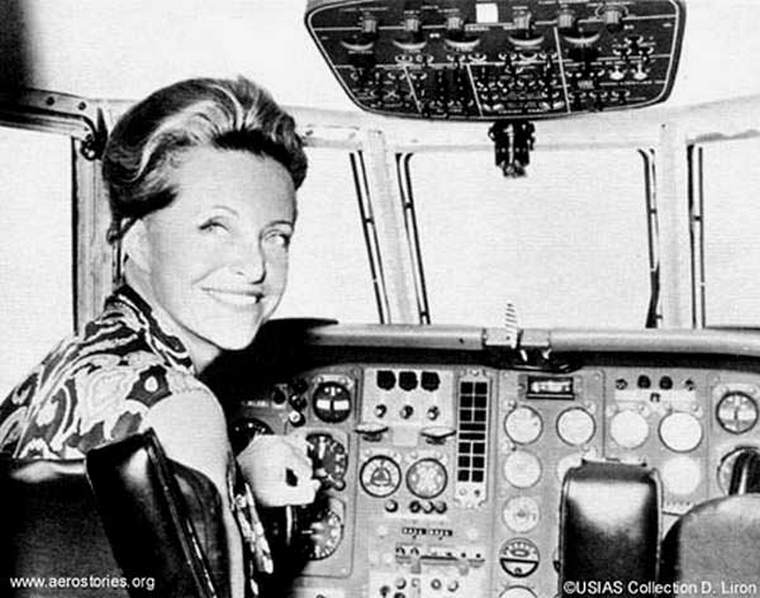 Jacqueline Auriol (15 November 1917- 11 February 2000) was a French aviator who set several world speed records. She took up flying in 1946, got her pilot's license in 1948 and became an accomplished stunt flier and test pilot. Jacqueline was severely injured in a crash of a SCAN 30 in which she was a passenger in 1949-many of the bones in her face were broken-and spent nearly three years in hospitals undergoing 33 reconstructive operations. To occupy her mind she studied algebra, trigonometry, aerodynamics, and other subjects necessary to obtain advanced pilot certification. 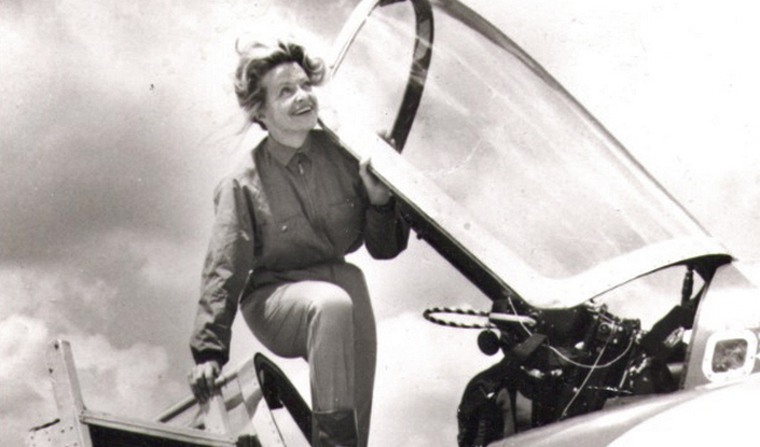 Jacqueline earned a military pilot license in 1950 then qualified as one of the first female test pilots. She was among the first women to break the sound barrier and set five world speed records in the 1950s and 1960s. On four occasions she was awarded the Harmon International Trophy by an American president in recognition of her aviation exploits. She once explained her passion for flying by saying: "I feel so happy when I'm flying. Perhaps it is the feeling of power, the pleasure of dominating a machine as beautiful as a thoroughbred horse. Mingled with these basic joys is another less primitive feeling that of a mission accomplished. Each time I set foot on an airfield, I sense with fresh excitement that this is where I belong."